It has been several years since Apple stopped supporting the original iPad, but don't toss yours yet — it's not completely useless. Although it's not going to multitask with two apps on the screen at the same time, it is quite capable of performing some of the everyday tasks you'd normally use a laptop or desktop PC to perform. The modern-day couch potato doesn't just sit in front of the tube mindlessly watching anything on television. Multitasking is the common pastime: surfing the web, checking Facebook, or even live-tweeting a commentary on the pilot of a new TV show. And let's not forget looking up that familiar face on IMBD! Your old first-generation iPad can handle all of this quite easily. The Safari web browser may not be as fast as on current iPads, but web pages will still load on it. The iPad has always been a great e-reader, with iBooks debuting on the original iPad. You can even use the Kindle app to read ebooks you bought from Amazon. While not as lightweight as the iPad Mini, the original iPad still serves as a capable bedside tablet and reader. Most people aren't comfortable bringing expensive electronics along on vacation but don't like relying on a phone's smaller display as their only digital outlet. The original iPad still does a great job of playing movies and it is more than adequate for searching the web and staying connected. And if you do happen to leave it somewhere or it gets stolen, it won't sting quite as much as your brand-new iPad going missing. YouTube goes a long way toward filling the role of music teacher. Not only can you learn practice exercises and brush up on theory, you can pick up actual songs with videos showing you how to play. Plus, the iPad fits on a music stand so you can play along with the video. Set your iPad up in your living room next to a Bluetooth speaker and you have the world's best boombox, or at the very least, the easiest boombox to control. The iPad makes a great iPod, and with its Bluetooth capability, you can get great sound out of it. The iPad also can help out in the kitchen. Not only can you can use the iBooks app to download recipe books, you also can write down your own recipes in the Notes app. Want quick access to your favorite cooking and recipe websites? You can save a website to your iPad's home screen and open it as you would an app. If you like to keep current on your email, you can set up the iPad next to your computer and use it as a dedicated inbox. This approach is great if you have only one monitor for your computer and you get a lot of emails that need quick responses. This setup effectively allows you to multitask, and it saves you the price of an extra monitor. Photo albums have entered the digital era. The iPad is a great way to store all of your photos, so when you have friends and family over, you can show them what you have been up to since you were last together. 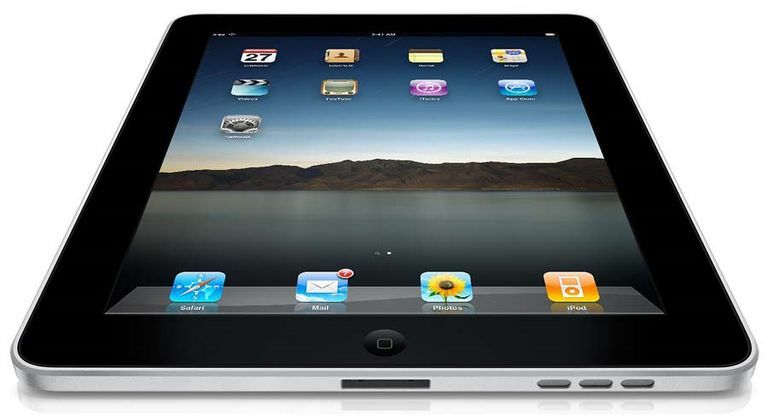 You also can use the original iPad as a photo frame, putting a slideshow on to ​display all of your photos. If you are tired of sharing your iPad with your children and are thinking of upgrading to a newer model, you can kill two birds with one stone. The original iPad may not be as snappy as new models, but it can still be great at casual gaming. You may need to use the download trick to put more games on it, but it can be a fine tablet for younger kids. Believe it or not, the 16GB Wi-Fi first-generation iPad still has some value. Selling yours can help subsidize an upgrade to a newer model. Want to load your first-generation iPad up with apps? The App Store still offers plenty, but if you can't find what you are looking for and you know it exists, there's a neat trick for downloading newer apps onto the original iPad.